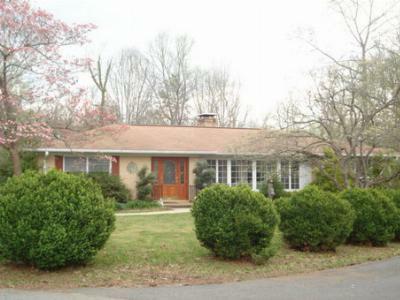 Potential Short Sale on this Quality Built Brick Home in the heart of Franklin, NC. Custom Finishes you’d find in high end homes include Rock Tile Showers, Gourmet Kitchen, Quartz Counters, Spa Bath, 2 sided Fireplace, Hardwood Floors, Open Floor Plan on Lavishly Landscaped lot, 3000+/-SF, Workshop, and Finished Terrace Level for possible In Law Suite. Step out on the spacious Covered Porch with Tongue and Groove Vaulted Ceiling and have a party! Very Easy Access and paved to the door. Located in the heart of Franklin, NC, less than an hour to Cherokee, NC and Harrah’s Casino and 70 minutes to Asheville, NC. East Franklin Elementary, Mountain View 5-6, Macon Middle and Franklin High School are 5 minutes from this home. Trimont Christian Academy is within walking distance.